The Red Mountain grape growing region is Washington State’s smallest American Viticultural Area (AVA), defined in 2001 by the U.S. Treasury and the ATF. Located at the eastern tip of the Yakima Valley, just west of the Tri-Cities (Richland) area, this important area encompasses little more than 4,000 acres (only 700 acres are planted with producing vines so far) of mostly Cabernet Sauvignon, Chardonnay, Merlot and Syrah grapes. But here is where you’ll find some of the best wine grapes in all of Washington. The arid region is characterized by the springtime’s red Cheatgrass growing on the area’s rolling hills 500-1500 ft. above sea level. Daytime temperatures stay 90 degrees, with cooler nights reaching 50. Rainfall stays low, near 5 inches a year. The dry, warm temperatures are ideal conditions to grow the perfect grapes, You won’t find any “Old Vine” Red Mountain grapes yet but that time is getting close…the first wine grapes in the Red Mountain area were planted in 1972, on 10 acres of what is now Kiona. Only 14 wineries call this area home. Among them: Hedges, Kiona, Seth Ryan, Oakwood, Blackwood Canyon, Taptiel Vineyard, Hightower and Terra Blanca. Additional grape-growers include Klipsun Vineyards (Ranked in the top 25 vineyards in the world by Wine & Spirits Magazine), Ciel de Cheval Vineyards, Artz Vineyards. Across the state, the finer wineries seek out the coveted Red Mountain grapes to blend into the growing number of outstanding Washington red wines. You’ll find Red Mountain grapes in the wines from Woodward Canyon, Quilceda Creek, Andrew Will, L’Ecole No. 41, Washington Hills, Seven Hills and Canoe Ridge and more. Success has come quickly… Wine Enthusiast Magazine’s Top 100 Wines for 2002 listed Hedges Red Mountain Reserve ($46) and Sandhill’s Cabernet Sauvignon ($24), as well as Andrew Will’s Ciel du Cheval Merlot and Quilceda Creek’s Cabernet Sauvignon. Hedge’s Fume/Chardonnay ($11) also made the “Top 100 Values” from Wine Enthusiast’s 2002 list. 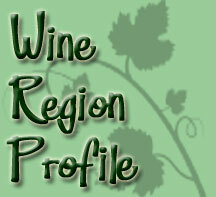 Look for increasing success and production in the region as more acreage is planted and more vines bear fruit with age. With such perfect growing conditions, and rising talent gaining experience each year, Washington’s Red Mountain will be the region to watch!